The Netherlands is the safest place in the world to operate your bicycle according to the following statistics. Yet, they still have a murkier past. This was the first ghost bike I found from my travels throughout Europe. This doesn't mean there aren't many traffic deaths by bike. This could simply mean citizens don't commemorate their deceased in bicycle form as does Portland and other parts of America. Dwelling on the previous point however, I will discuss safety philosophy of the Dutch and America. In the 1960s The Netherlands was becoming more modern, i.e., citizens were affording cars. But while vehicles increased on the road as a stamp of progress, cyclists did not feel as safe on the road . "A 56-year-old office worker told the reporter, 'Mister, when I'm riding my bike, i'm never sure of my life.' ... 'On the bike, it's slowly becoming crazy.' "(In the City of Bikes, Pete Jordan, page 294, 2013). Citizen experiences and crash statistics indicate a decrease in perceived safety and increase in crashes in The Netherlands. 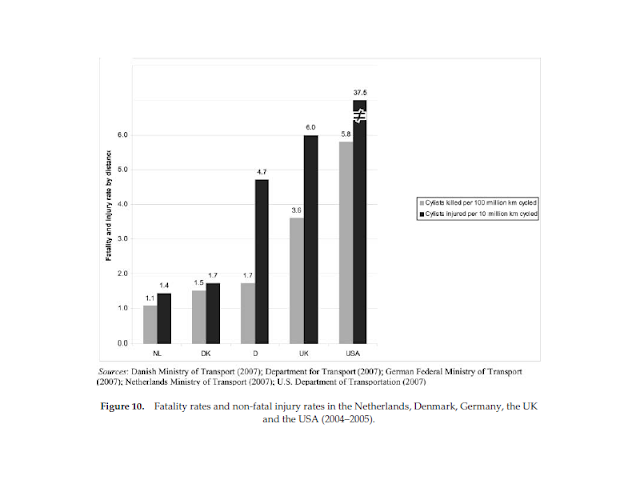 Long story short, The Netherlands changed and sought to reduce traffic deaths. In 1960 there were over 400 children killed by vehicles. In 2010, there were 14. In America, I don't know the number of deaths by children in 1960s, but the first graphic in this post illustrates the relative safety of cyclists comparing America to The Netherlands. Basically the Dutch citizens are much safer than America. The Dutch made many changes in policies which influenced how people traveled and ultimately their safety. I believe there are facilities which led toward safer roadways: the separated kind (cycletracks and side paths). 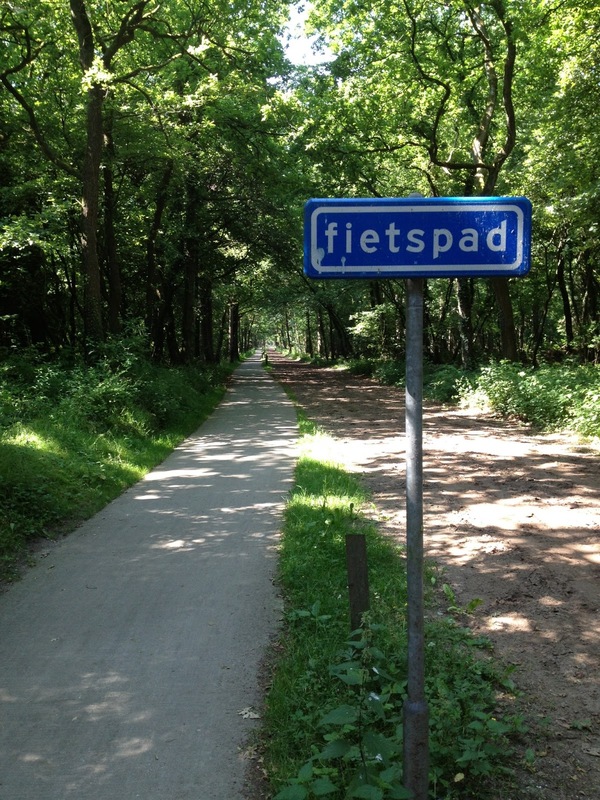 The cycle track is typically constructed in urban environments whereas the side path is implemented in rural environments. 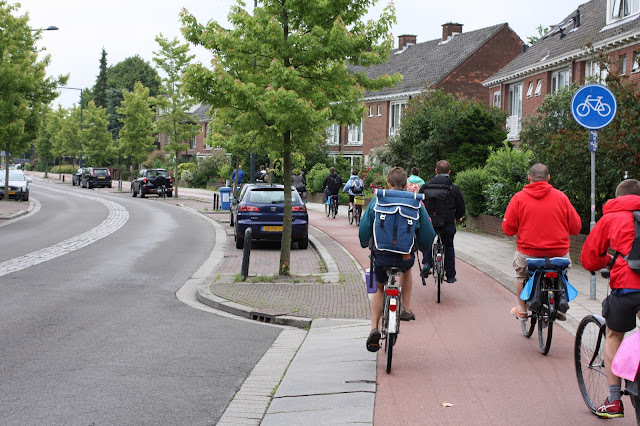 The side path is also typically two-way and straddles one side of the roadway, as opposed to cycle tracks which are usually one-way and are on both sides of the street. The side path is approximately 10 feet wide. Notice how there is a completely different facility for the bicycle as there is for the automobile. The vehicle-bicycle (and vehicle-pedestrian) conflict will occur at driveways or intersections. Also notice how both facilities assume the bicycle will not be present on the vehicle facility because there is a lack of shoulder which are present in typical American facilities. Does the side path or cycle track look inviting for peds and bikes? Or does the sight of this make engineers quiver? What are your feelings about this roadway facility on Highway 99W between McMinnville and Salem, Oregon? 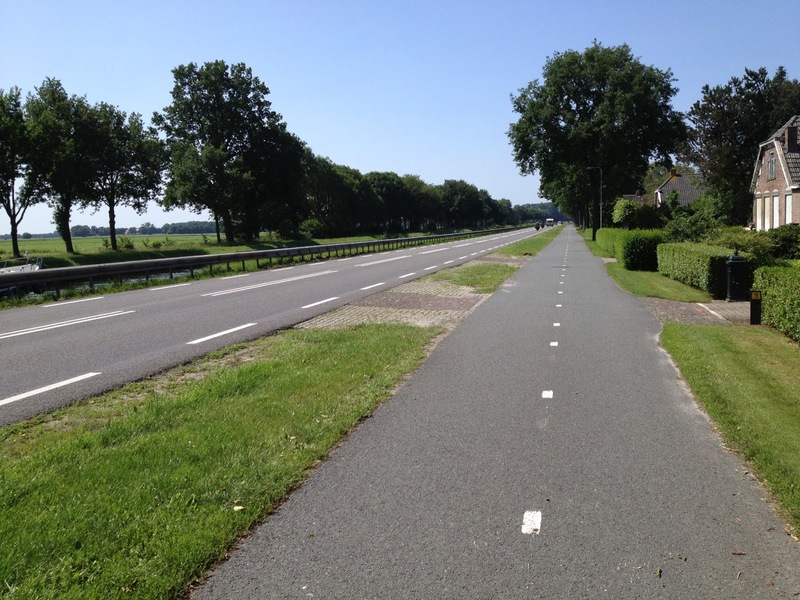 There is an approximate 5 foot shoulder on both sides of the road as opposed to an approximate 10 foot wide sidepath as shown on the Dutch facility. Which facility do you think is better for all users of the roadway? I pose these questions to understand why Americans do not accept side paths. Side paths (or cycle tracks for that matter) are currently not recommended by our guiding engineering manuals for safety concerns of automobiles entering and exiting driveways and intersections. A fair concern, but I believe a motorist will rarely use their driveway at the precise time a cyclist is present. 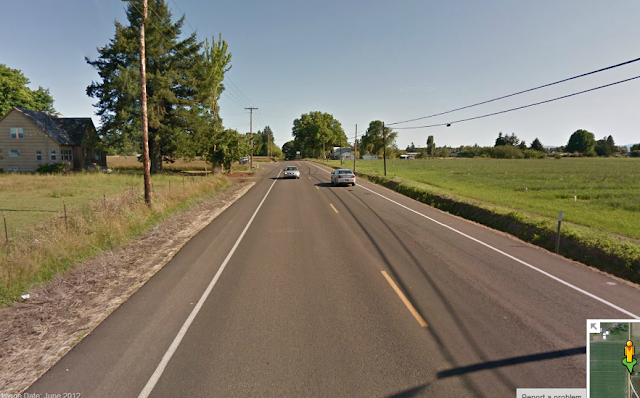 More importantly, many motorists pass a cyclist in rural situations because the motorist is traveling much faster. In other words, there are less conflicts at driveways than there are on the roadway. If this logic holds true, the American facility is less safe for pedestrians and bicyclists than the Dutch facility. 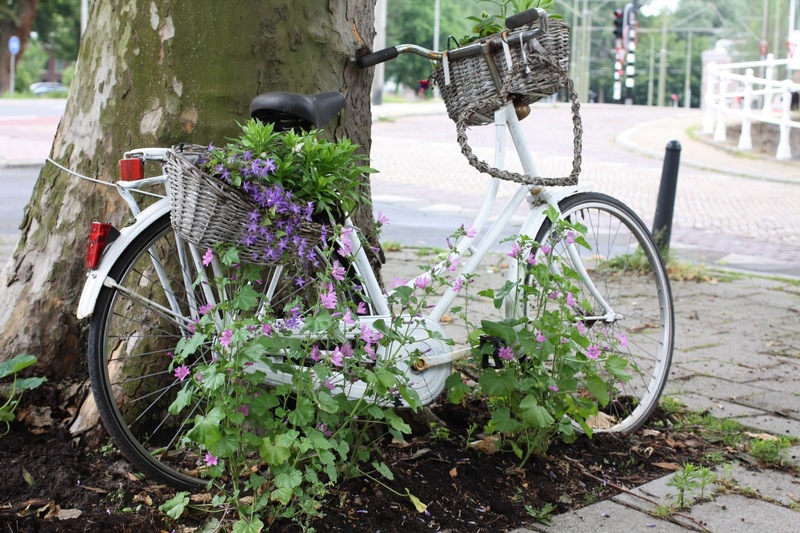 Like the Dutch have elegantly demonstrated, something can be done. The Dutch have reduced the number of children's deaths by 35 fold over 50 years. I'd like to show the Dutch that Americans can reduce the number of children's deaths by 100 fold over 25 years. This is worth doing and I believe separation of vehicles and people/bicyclists is where to start. 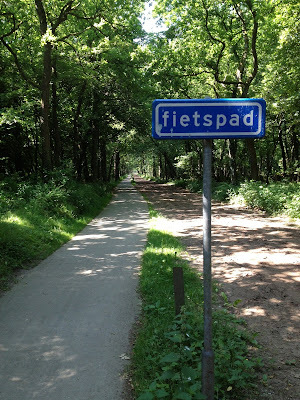 PS: The side paths in The Netherlands are literally everywhere. America has catching up to do. Nice post, Jesse. I'm glad your transportation blog is back to...transportation.